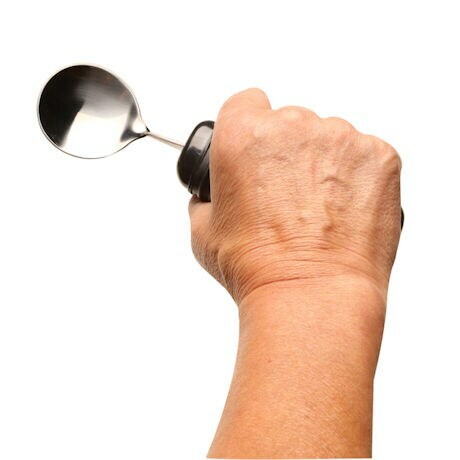 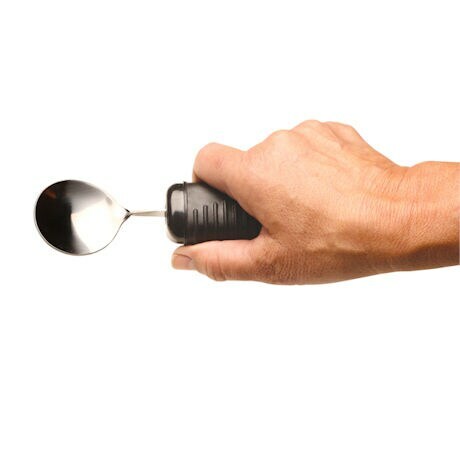 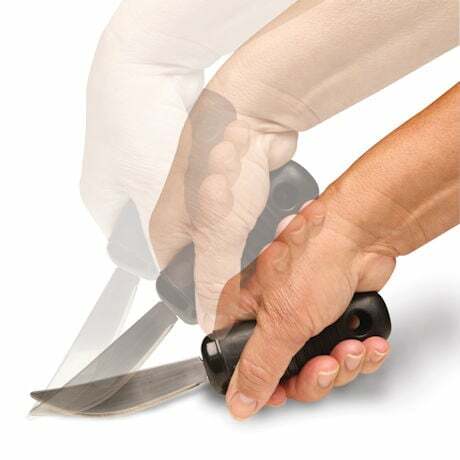 Anyone with limited strength or dexterity will love eating with the Big Grip Utensil Set. 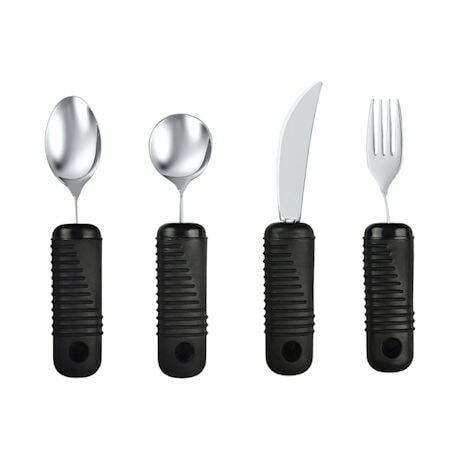 This ergonomically designed set includes a fork, knife, spoon and soup spoon, each with a 1½" wide rubberized handle. 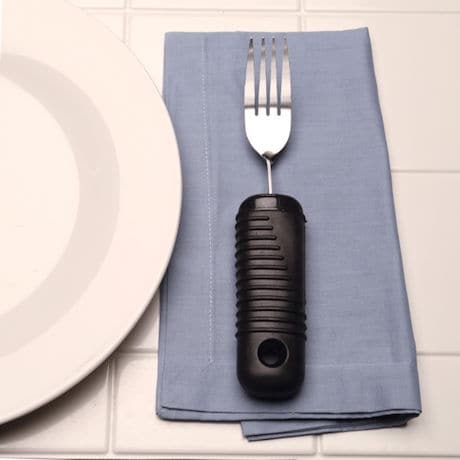 That means you can confidently enjoy all your favorite meals without worrying about embarrassing spills or accidents.